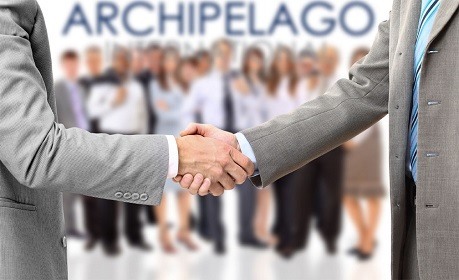 Jakarta, Indonesia, 24 April 2018 - Archipelago International, a leading Indonesia-based hospitality management company today announced it has signed a letter of intent with NWP Retail to develop 14 hotel projects in prime locations across Indonesia under three of the company’s signature brands: fave, Harper and Aston. The planned developments will add over 1,800 rooms to Archipelagos hotel accommodation offerings. After more than a decade of accelerated growth in Indonesia, Archipelago International expects to open more than 50 new hotels in the next few years and raise its inventory to more than 25,000 rooms, thanks to an increasing demand for budget and mid-market hotels. Demand is also growing for Archipelago’s upscale 5-star luxury villa brand, Royal Kamuela, currently under development in Port Dickson, Malaysia. Established in 2015, NWP Retail (PT. Nirvana Wastu Pratama) is a joint venture between PT. Nirvana Development Tbk. (NIRO) and Warburg Pincus aims to become the best-in-class retail platform in Indonesia. It focuses on developing hypermarket-anchored shopping malls across second and third-tier cities in Indonesia. NWP Retail is Indonesia’s fastest growing lease retail developer. Its pioneering portfolio includes Cirebon’s CSB Mall and various shopping malls under the Citimall brand.